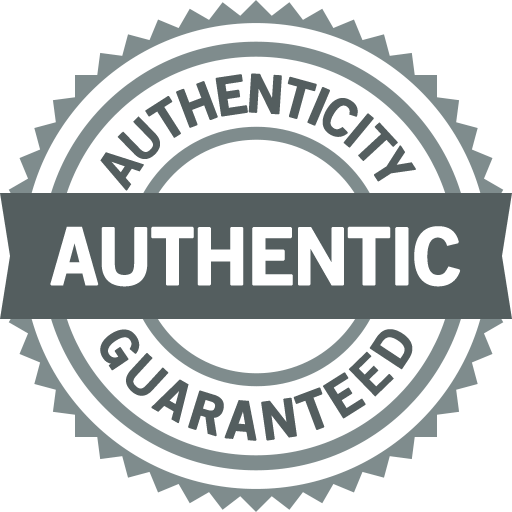 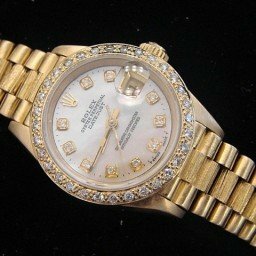 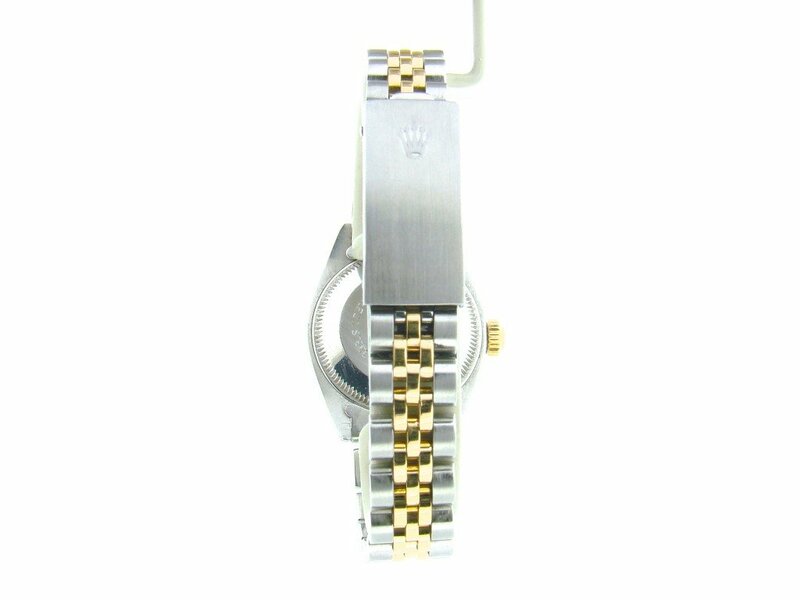 BeckerTime is proud to offer this beautiful GENUINE ROLEX timepiece. 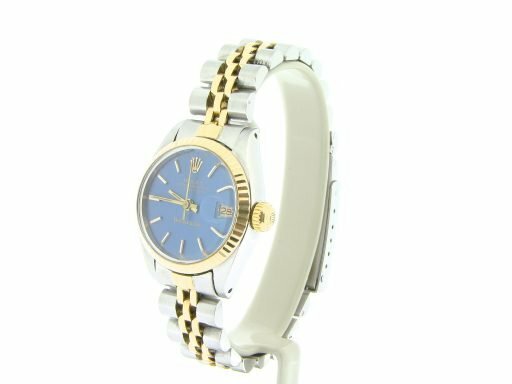 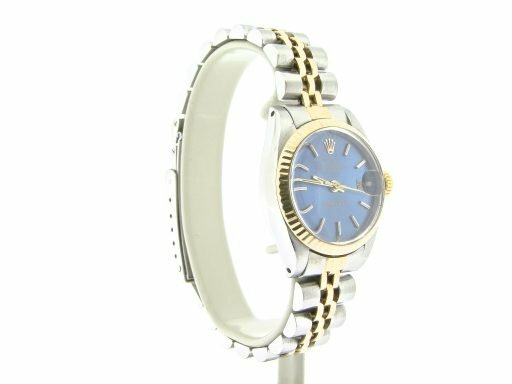 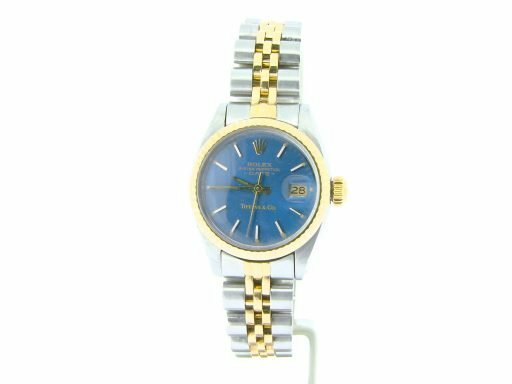 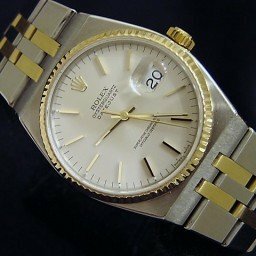 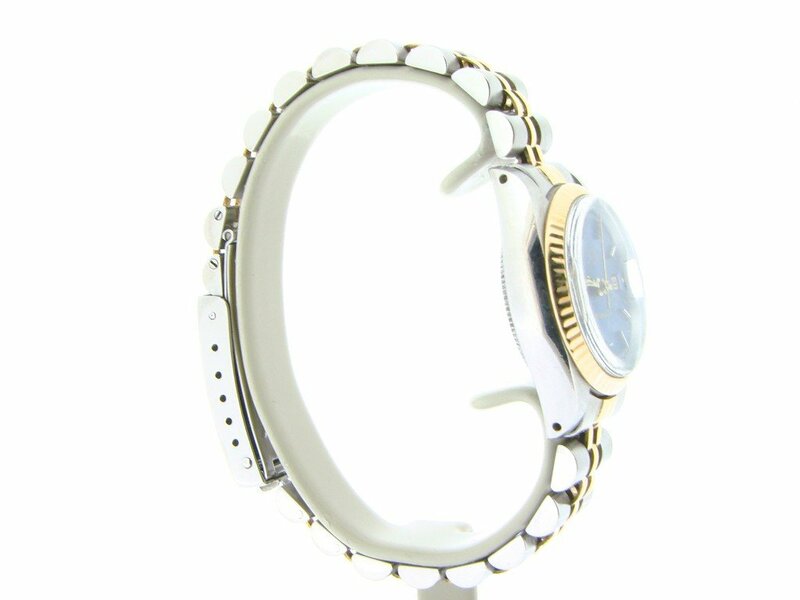 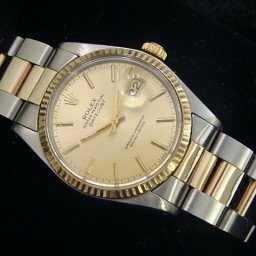 It is a Ladies Rolex Date 2tone 18k Yellow Gold/SS Watch w/Blue Dial from the 1980s that is guaranteed to take your breath away! 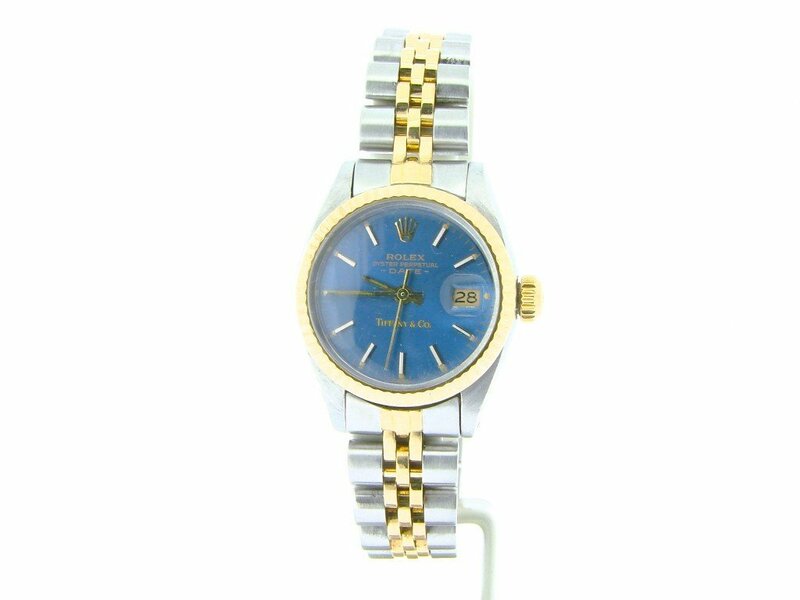 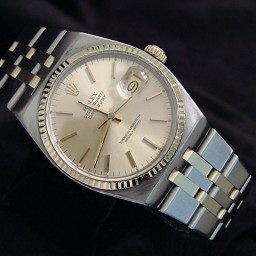 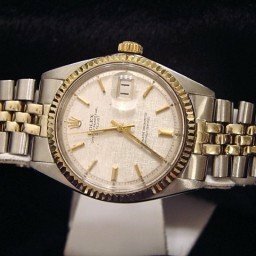 Don’t let this one get away … Buying a genuine Rolex with diamonds in this good of condition at this price doesn’t happen often … This type would sell brand new for more than $7,000 plus tax today. 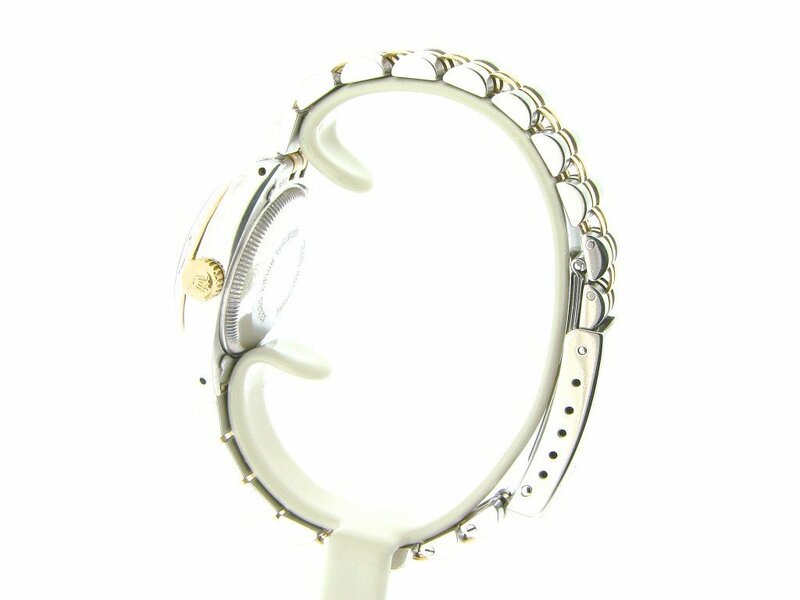 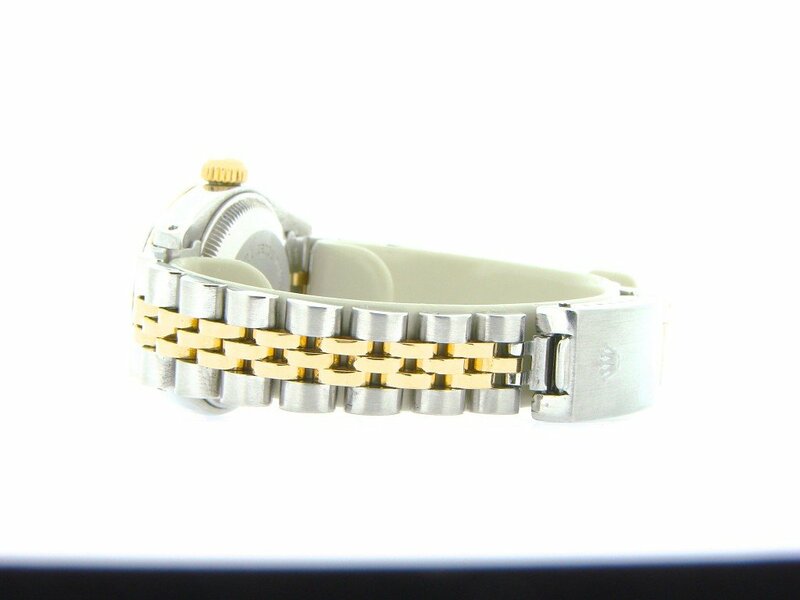 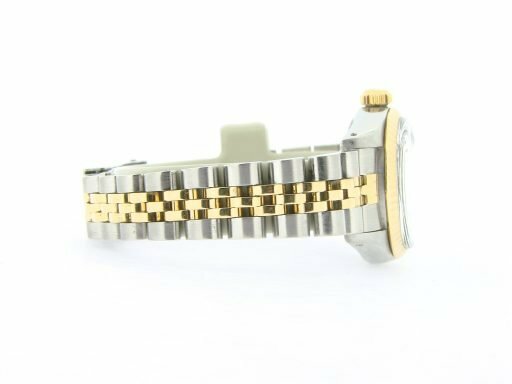 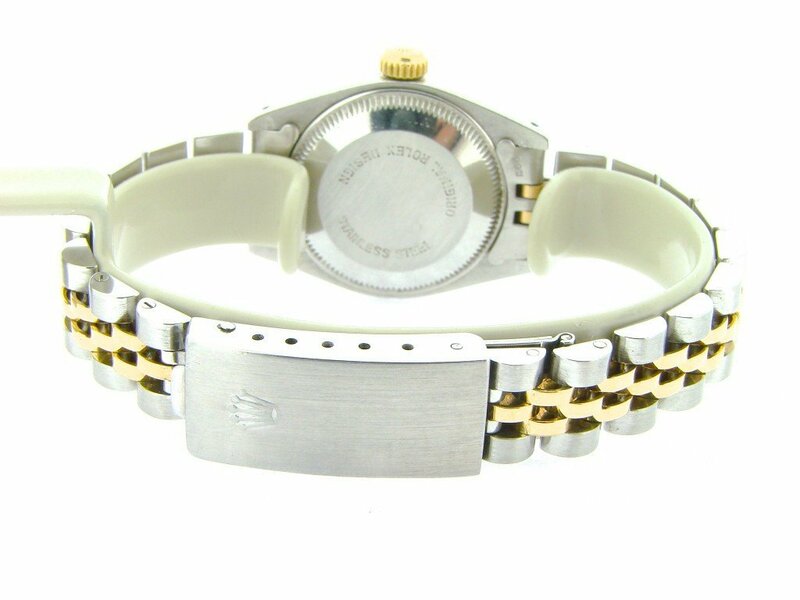 Band Rolex 18k yellow gold & stainless steel jubilee bracelet with Rolex-signed clasp is in excellent condition with loose stretch between links.